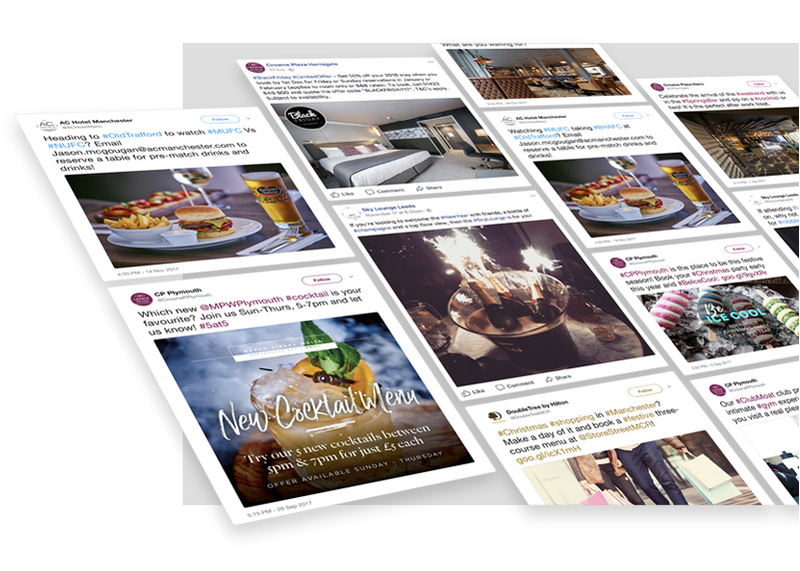 For over a decade Cuckoo have supported Valor Hospitality through branding, strategy development and implementation of integrated marketing campaigns across several franchise brands including AC Marriott, Hilton and Crowne Plaza. to ensure the correct audiences are targeted. Monthly and campaign specific analytics reports. Creation of social media guidelines, including tone of voice, image placements and defining target audiences. Working across Twitter and Facebook we are responsible for creating and optimising accounts. Content planning, creation and scheduling. Managing central multi-brand campaigns right through to local food and drink offers. Creating unique imagery, gifs and videos to exploit key consumer and market trends. Planning and executing end-to-end social competitions and interactive promotions to boost engagement and reach wider audiences. Advertising through promoted and sponsored content with strategic and tactical targeting. Social listening, keyword and branded term searches. Engaging with audiences, reputation monitoring. 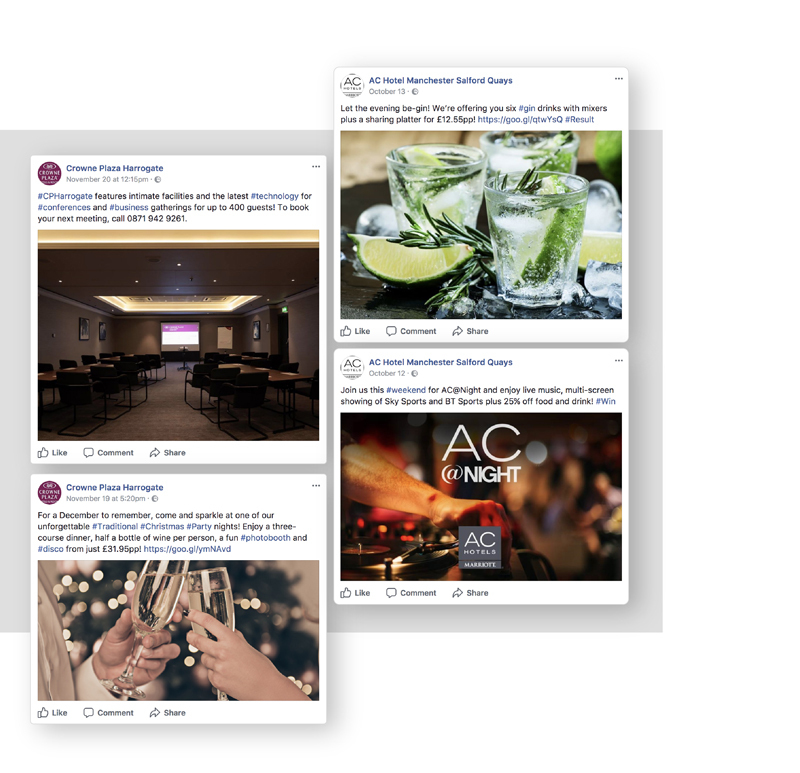 Some of our other social media clients include, Vimto Gardens, Carpino Place and Timekeepers Square.